Arsenal announced on Wednesday that Unai Emery is their new head coach, succeeding Arsene Wenger at the Premier League giants. 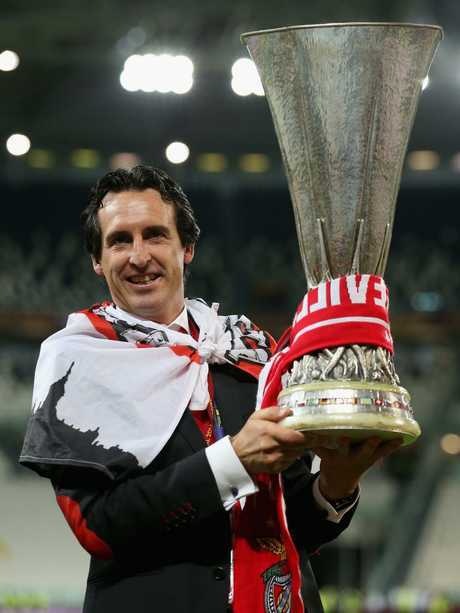 Emery, 46, left Paris Saint-Germain this month after winning Ligue 1 and four domestic cups in two seasons in the French capital. The Spaniard emerged as the shock favourite earlier this week after it had appeared former Arsenal captain Mikel Arteta was in line to land the job. Wenger departed at the end of the season following a 22-year reign, with the club finishing sixth in the Premier League. Emery, who will be unveiled at a press conference at the Emirates later on Wednesday, will work in a head coach capacity at Arsenal. 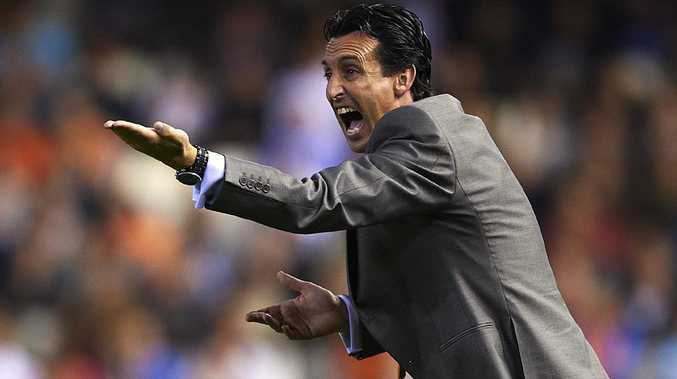 It follows the appointments of Raul Sanllehi as head of football relations and Sven Mislintat as head of recruitment over the past year "I am thrilled to be joining one of the great clubs in the game," Emery told Arsenal's website. Unai Emery poses with the Europa League trophy. "Arsenal is known and loved throughout the world for its style of play, its commitment to young players, the fantastic stadium, the way the club is run. I'm very excited to be given the responsibility to start this important new chapter in Arsenal's history." Chief executive Ivan Gazidis said the decision to appoint the former Valencia and Spartak Moscow boss had been unanimous.